The mile-high altitude of Colorado’s Thunder Valley National always seems to throw a curve ball to shake up the competition, which effects not only the riders, but their machinery too. In the premier 450 class, Kawasaki’s Eli Tomac went 1-1 on the day in front of his home state crowd, continuing his undefeated season with six straight moto wins. Honda’s Ken Roczen finished second overall with a pair of second place finishes, which is awesome because no one imagined he’d be so competitive so soon after his recent injuries. Blake Baggett rounded out the podium, and Jason Anderson had to sit this one out due to an unfortunate foot injury. The 250 class was much more interesting, as now former co-points leaders Zach Osborne and Aaron Plessinger both lost their red plates to GEICO Honda’s Jeremy Martin, who rode solidly all day. His brother Alex Martin finished second, and newcomer Justin Cooper gave everyone a run for their money, winning the first moto and placing eighth in the second, which was good enough for a third overall. Cooper is unlike many of his competitors because he grew up racing pretty much only locally in New York compared to the national exposure and training many of his rivals got – a real rags to riches underdog story. 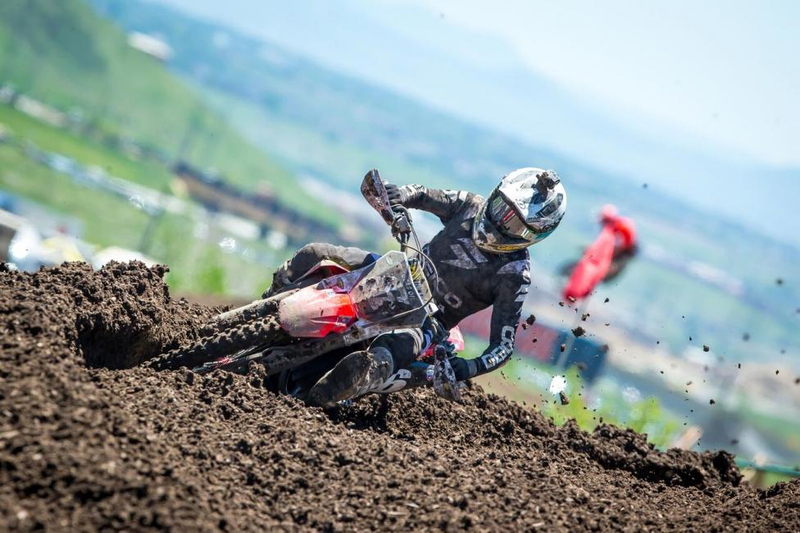 LAKEWOOD, CO – June 2, 2018 – The Lucas Oil Pro Motocross Championship, sanctioned by AMA Pro Racing, hosted its third round of the season on Saturday with the True Value Thunder Valley National, presented by Toyota, from the mile-high altitude of Thunder Valley Motocross Park. The 450 Class saw Monster Energy Kawasaki’s Eli Tomac take his third consecutive victory to start the season, marking the Colorado native’s first overall win in front of his home crowd in the premier class and continuing his undefeated start to 2018. 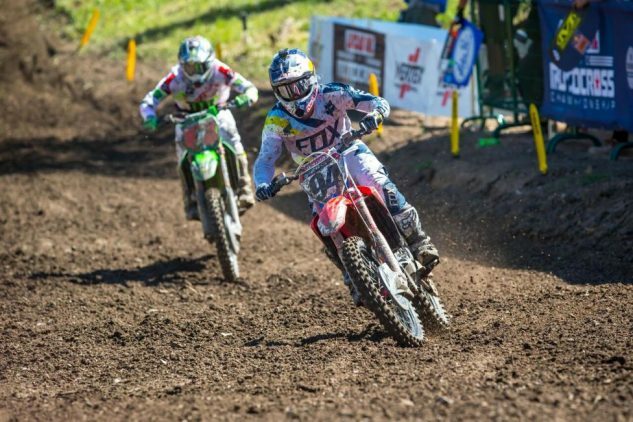 In the 250 Class, Jeremy Martin powered his GEICO Honda to his first overall win of the season and moved into the championship point lead. As the gate dropped on the first 450 Class moto of the afternoon it was Monster Energy/Yamaha Factory Racing’s Justin Barcia taking the Motosport.com Holeshot with Autotrader/Yoshimura/Suzuki Factory Racing’s Phil Nicoletti and Tomac in tow. Tomac made short work of Nicoletti to overtake second on the opening lap and began setting his sights on Barcia. However, after officials made the decision to throw the red flag in an effort to properly attend to a downed rider the moto would restart with the entire field back on the gate. When the gate dropped for the restart, RMATV/MC-WPS-KTM’s Blake Baggett led the field into the first turn, followed by Team Honda HRC’s Ken Roczen and Barcia, with Tomac just behind in fourth. The opening lap saw Roczen waste no time as he charged past Baggett for the race lead, while Barcia found himself on the ground and allowed Tomac to inherit third. The defending champion then passed Baggett for second on the following lap. As Roczen rode effortlessly out front, Tomac began mounting a charge and started inching closer with each passing lap. The duo set a blistering pace and Tomac pulled alongside Roczen several times, but the German was able to successfully fend him off. With just under seven minutes remaining in the moto, Tomac’s efforts prevailed as he muscled his way into the lead. Tomac could not be stopped once out front as he set the fastest laps of the race and cruised to his fifth moto victory of the season. 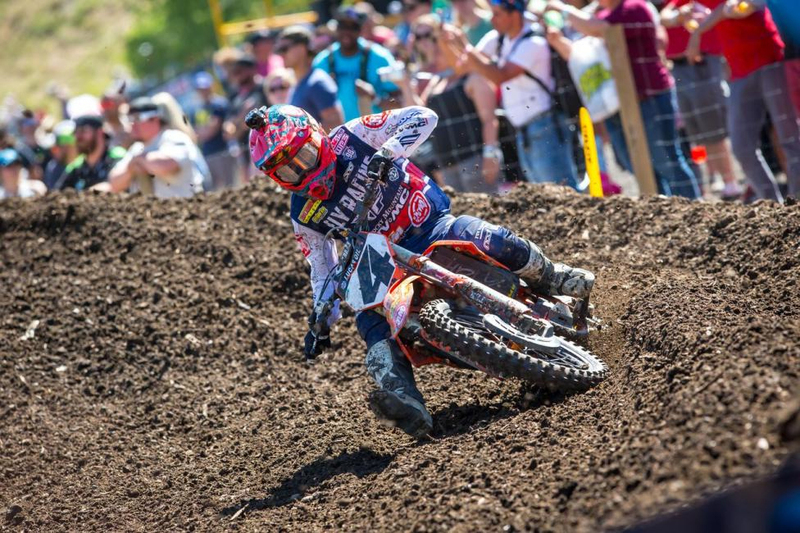 The battle for second came down to the final lap between Roczen and Baggett, with Roczen narrowly edging out the KTM rider to finish second and third, respectively. In 450 Class Moto 2, Barcia once again put his Yamaha out front as he stormed to sweep both Motosport.com Holeshots, this time ahead of Baggett and Tomac. Much like the first moto, Roczen was quick to attack on the opening lap as he took advantage of a top-five start and positioned himself into a pass for second, then pulling alongside Barcia for the lead, with Tomac in tow. Barcia fended off Roczen’s pressure and maintained his early hold on the lead. With Barcia on a mission out front, Tomac made the move on Roczen to take over second on Lap 3. Barcia lost control and crashed out of the lead just moments later, which caused Tomac to come to a complete stop and maneuver his way by. 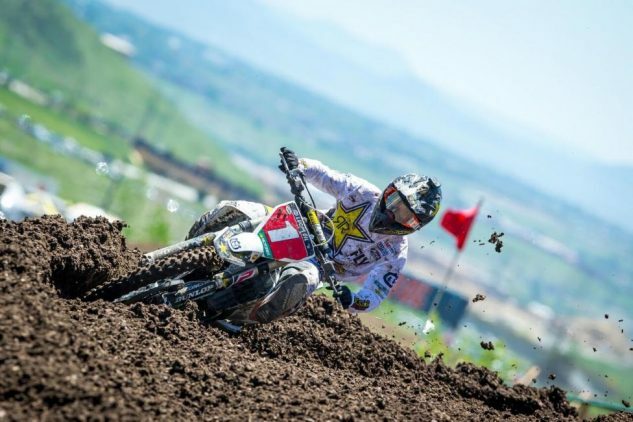 The incident allowed Roczen and Baggett to move into the top two positions, while Tomac eventually resumed in third. On Lap 5, Baggett cross-rutted entering a turn and shot off of the track, which allowed Tomac to slip by into the runner-up spot. Tomac once again displayed blistering pace as he set his sights on Roczen and began chipping away at his lead. Tomac worked tirelessly for a way around Roczen, who used crafty line selection to shut down several pass attempts. With just over 10 minutes left in the moto Tomac got a strong drive right after the finish line and successfully made the pass stick to move into the lead. Tomac continued to charge through to the finish and took his sixth straight moto win of the season by 11.4 seconds. Roczen backed up his first moto result with an impressive second, followed by Baggett in third. It’s the first time in his career that Tomac has opened the season with three consecutive overall wins and an undefeated moto record of 6-0. It was his first 450 Class win at his home race, and the 12th of his career. Roczen finished second overall (2-2) and landed on the podium for the first time since the final round of 2016, 14 races ago. Baggett claimed his first podium finish of the season in third (3-3). Tomac extended his lead in the 450 Class standings and now sits 28 points ahead of Team Red Bull KTM Factory Racing’s Marvin Musquin, who finished fourth overall (4-4) but was never a factor. Barcia’s sixth overall (5-6) was good enough to maintain third in the standings, 46 points out of the lead. The first 250 Class moto of the afternoon got underway with Monster Energy/Yamalube/Star Racing/Yamaha’s Justin Cooper collecting the Motosport.com Holeshot ahead of Troy Lee Designs/Red Bull/KTM’s Jordon Smith and Rockstar Energy Husqvarna Factory Racing’s Zach Osborne. Monster Energy/Pro Circuit/Kawasaki rider Joey Savatgy quickly went to work in the opening corners by passing Osborne and Smith for second. 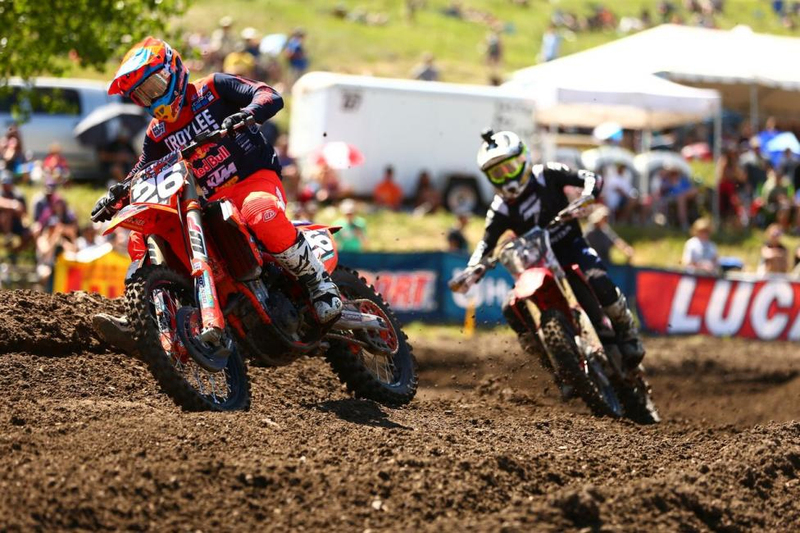 Cooper and Savatgy immediately set the pace out front as they began to distance themselves from the field. On Lap 5, Savatgy started to find his flow and latched onto the rear fender of Cooper as he spent several laps searching for a way around the race leader. On Lap 7, Osborne pulled the trigger on Smith and made the pass for third, however, it would be short lived as Martin and his Honda found a way around the defending champion just several laps later. Savatgy’s persistence paid off with less than 10 minutes to go as he dove to the inside of Cooper for the lead. Savatgy was struck by misfortune with just two laps remaining in the 30-minute-plus-two-lap moto as he came to a stop on the side of the track after he appeared to lose power and ultimately was forced to retire from the race early, surrendering the lead to Cooper. Martin continued to control second, while brother Alex Martin powered his Troy Lee Designs/Red Bull/KTM around Osborne for third. The rookie Cooper crossed the checkered flag to take his first career moto victory, with 4.2 seconds to spare on Jeremy Martin in second. Alex Martin completed the podium with a hard-fought third. Entering co-point leaders Osborne and Monster Energy/Yamalube/Star/Yamaha’s Aaron Plessinger finished fifth and sixth, respectively. When the gate dropped on the final 250 Class moto of the day, it was Alex Martin who emerged with the Motosport.com Holeshot, with his brother Jeremy and first moto winner Cooper in pursuit. A pileup in the first corner collected several riders, including point leader Osborne, who was slow to get up before remounting in 39th position. The Martin brothers led the 40-rider field around the opening lap and paced one another in an attempt to break away from the competition. Each time Alex looked to have the upper hand, Jeremy would regroup and close back in. Smith continued his strong riding from the opening moto and began to reel in Cooper, eventually making the pass stick for third on Lap 3. As the moto closed in on the halfway point, the battle between the Martin brothers began to intensify as Alex used every inch of the track to keep Jeremy behind him. On Lap 7, Jeremy used his momentum around one of the high speed sweeping turns to make the pass stick and seize control of the lead. Once out front, Jeremy’s speed was unmatched and he steadily opened a comfortable cushion. Jeremy remained unchallenged to the finish to take his first moto victory of the season by 8.6 seconds over Alex for a Martin brothers 1-2. 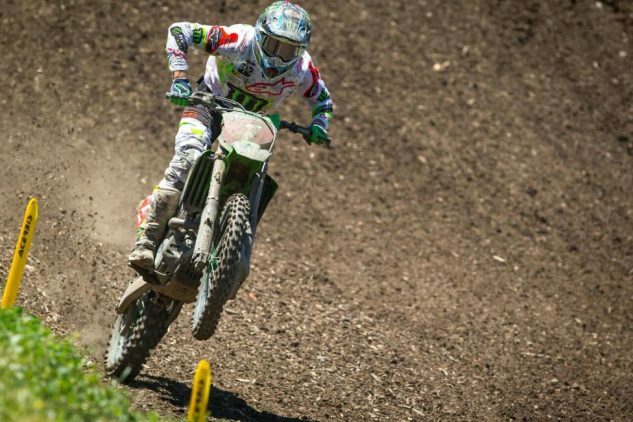 After starting fifth, Monster Energy/Pro Circuit/Kawasaki’s Austin Forkner finished strong for his first podium result of the season in third. 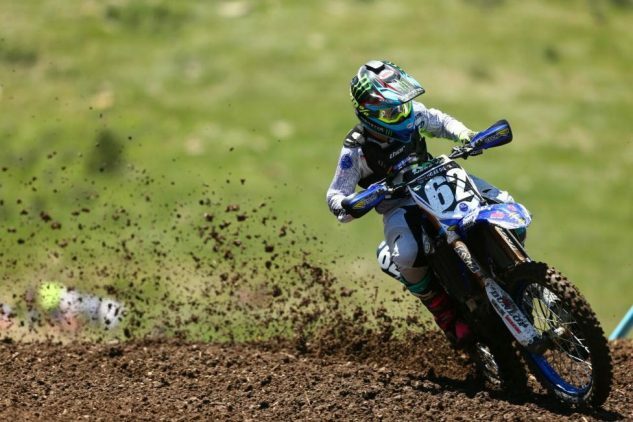 Plessinger narrowly missed the podium in fourth. Osborne battled from the tail end of the field and took the final point-paying position in 20th. The 2-1 moto scores saw Jeremy capture his 14th career win, with Alex in the runner-up spot (3-2) for the second consecutive week. 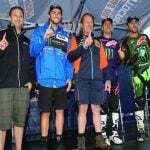 First moto winner Cooper rounded things out with his first career overall podium finish in third (1-8). Osborne finished outside the top 10 in 11th (5-20) for his worst result since the final round of the 2016 season, 14 races ago. The win moves Jeremy to the top of the 250 Class standings and gives him sole possession of the red plate. Plessinger trails by just eight points, while Alex Martin sits an additional five points behind in third. Osborne dropped from first to fourth and sits 24 points out of the lead. 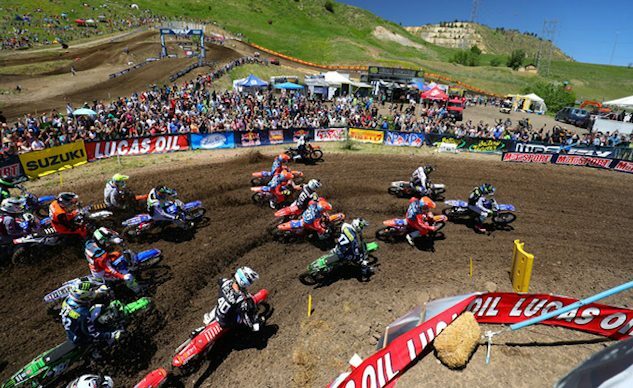 The 2018 Lucas Oil Pro Motocross Championship will resume in two weeks time on Saturday, June 16, with its annual visit to the famed High Point Raceway in Mt. Morris, Pennsylvania. 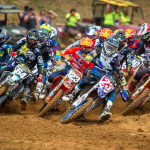 First motos of the Red Bull High Point National can be seen live on MAVTV at 10 a.m. PT / 1 p.m. 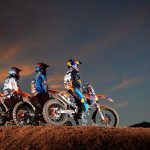 ET, while 450 Moto 2 airs LIVE on NBC at 12 p.m. PT / 3 p.m. ET and 250 Moto 2 LIVE on NBC Sports Network at 1 p.m. PT / 4 p.m. ET. Additionally, all of the action can be seen as it unfolds online via the “Pro Motocross Pass” on the NBC Sports Gold app.